H. Terrell Griffin begins the fourth installment in his Matt Royal Mystery Series with a bang. Literally. Laurence Wyatt is enjoying the cool Florida breeze from his balcony when a bullet travels through his skull. Just like that, Wyatt is dead. Retired lawyer and soldier Matt Royal is completely shocked at the news of the sudden death of his dear friend Wyatt. Along with his friends Logan and Jock, Matt served with Wyatt during the war in Vietnam, forging a lifelong bond that has stayed with the men. All are present at Wyatt's funeral, but the murder seems to weigh especially heavy on the mind of Royal. Never one to shy away from a mystery, Matt vows revenge on whoever is responsible for the death of Wyatt. Acting on a tip from a local waitress, Royal tracks down the man who shot Wyatt and discovers that the shooter was merely a pawn in a much larger game. Enlisting the help of Jock, who conveniently works for a secret government agency that is alway willing to lend resources, and Dr. Jessica Connors, an expert on WWII, Matt embarks on a transcontinental quest to serve justice to the people responsible for his friends death. Griffin definitely knows how to draw a reader in and keep them guessing until the end. I really appreciate the way he adds bits of historical truth to serve his fiction. As in the other novels in this series, it is the fascinating protagonist, Matt Royal, who drives the drama of this story. In this novel, Royal is forced to grapple with seeking revenge and the consequences of his search for justice. Thrust into a situation of violence, Matt evaluates his own use of violence, both during the war and in his investigation. A Florida native, Griffin gives a vivid portrayal of the Florida setting, and the people who live there. I always look forward to the little details he provides that make the people seem like those you would actually encounter on a visit to the Florida coast. The only downside to these fantastic descriptions is that the other settings and their inhabitants pale in comparison. It's not that there was anything wrong with the other locations, but I could definitely tell that, like other Florida author's(Carl Hiaasen, Jeff Lindsay, etc. ), the spirit of the region is in his writing. 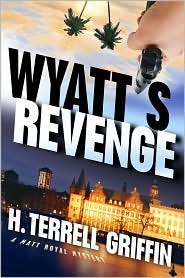 Wyatt's Revenge comes to a very satisfying conclusion and keeps the twists and suspense rolling until the very end. The expertly crafted characters and setting give this novel a heart that is rarely found in series mysteries. I recommend this novel for any fan of thrillers, history, and page-turning suspense. 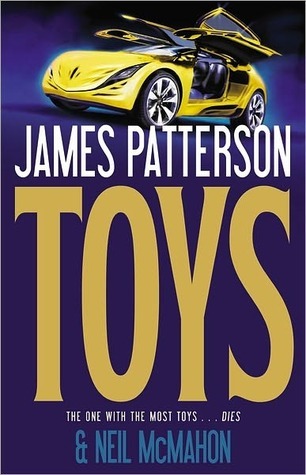 James Patterson thrusts readers to the distant future in his novel, Toys. The year is 2061. Hays Baker is an Elite, a kind of enhanced superhuman, genetically and mechanically engineered to be a superior being of the world. We learn that Elites are the ruling class of society, controlling all government, medicine, and commerce. While humans still exist, they are left to fill the service rolls of society (waste collection, janitorial jobs, etc.) and live in the poverty stricken outskirts of the new cities, which have replaced the big cities of old. Hays, along with his wife Lizbeth, is a senior agent for the Agency of Change. After the success of an important mission, they are called to meet with the President, and Elite named Hughes Jacklin. During this meeting, they are tasked with assisting in the most important mission of their career... destroying the human race! On their ride home, the couple is attacked by a band of misfit humans. Narrowly escaping the humans, Hays plans to relax with his wife and two young daughters, but he is instead called to the popular Toyz store where a gruesome murder has taken place. While chasing a human suspect, Hays suffers a near fatal fall on the job and learns that he is not who he thinks he is. Suddenly shunned by every person he knows, Hays is forced to rediscover his identity and decide who to trust before the world changes forever. The quality of Patterson's recent novels and the fact that he employs a co-author (Neil McMahon assists with this one) has come under considerable criticism lately. Despite these criticisms, I really enjoyed this book. I was ready to write this off as a ridiculous attempt at a futuristic thriller, but found that I couldn't stop reading it. Patterson's attention to a driving plot, really helps this story move along, but doesn't allow for much character development. Normally, this would cause me to find the characters one-dimensional, but in this futuristic setting, I get the feeling that these "robotic" characters add to the overall intention of the story. Hays sees many of his relationships explode before his eyes, but hardly seems to care. Overall, this is definitely not a masterpiece of literature, but is a fun way to spend the afternoon with a story from a master thriller writer. 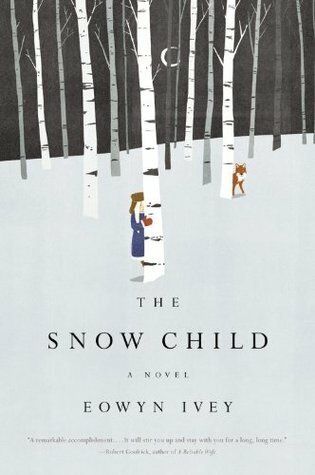 Facing the unimaginable grief that comes with the loss of a newborn child, married couple Jack and Mabel have moved to the rugged wilderness of 1920's Alaska. Upon their arrival, they realize that despite their best efforts to escape, grief has followed them to their new home, bringing even more troubles bare. Not the strong young man he once was, Jack struggles to keep up with the heavy labor of maintaining a farm. Left to the solitude of the cabin and a husband who can barely look her in the eye, Mabel has nothing to do but wallow in her loneliness. But there is hope. Jack, who has to take several trips into town, befriends a local man who invites him and Mabel to have dinner with his wife and sons. Although Mabel would rather stay in the quiet of their cabin, she agrees to go to the dinner. After that evening, the couple leaves the neighbors place with their spirits slightly lifted. Upon their arrival home, a frivolous snowball fight ensues, culminating with the construction of a small snow child. In the night, Jack awakes, startled to see that the snow child is gone. He sees small footprints leaving the site where the child stood, and as he looks out into the woods, he glimpses a young, fair-haired girl running through the trees. The next day, Jack attempts to keep what he saw to himself, but soon, Mabel notices the tracks as well. When she too sees the girl running amongst the trees, the couple is truly puzzled. Is this child the answer to their prayers, or simply the "cabin fever" effect of their grief? This debut novel by author Eowyn Ivey is a modern day fairy tale filled with a powerful emotional presence. Ivey's simple portrayal of this grief stricken couple leaps off of the pages and stays with you for a long time. I really enjoyed the way that the setting/tone seemed to reflect the main character's emotions. The opening, when the couple is overcome with the grief of their lost child, is written in a way that I could almost feel the coolness of the landscape. This tale of love, loss, and moving forward combines the fantastic with the harsh realities of the world, providing an extremely satisfying read. Congratulations to Jonathan! He will receive a signed copy of Banned for Life by D.R. Haney. Thanks to the author for making this giveaway available, and thanks to all who entered. Be sure to check this site for future giveaway opportunities. 3. This giveaway will continue to March 24. As a teenager, I read the novel The Outsiders by S.E. Hinton. I remember being attracted to the idea of kids who went against the social norm and really enjoyed reading the novel. Now, many years later, I find myself in awe at the power of another novel about young "punks" and growing up. In Banned for Life, author D.R. Haney captures the realism and grit of growing up an outsider, on a level I have never experienced before. The novel is narrated by Jason Maddox, a struggling filmmaker who recalls the events in is life that have brought him to where he is today. Jason did everything he could to fit in with the kids at his high school. He wore the same clothes, listened to the same music, and even dated the prom queen. Despite all of this, we get the sense that Jason never really fits in. His life takes a drastic turn when sleeps with his girlfriends mother, and nearly kills his "friend" who told the whole school about Jason's affair. Expelled from school and disowned by his family and friends, Jason turns to the only other person he can relate to. Bernard, Pewee as he comes to be called, makes it a point to be different. He listens to punk music, wears tattered clothes, and dyes his hair bright colors. When Jason finds himself with nowhere to turn, he finds Pewee to be not so strange after all. Through Pewee, Jason is exposed to new ways of thinking and discovers the greatest music he has ever heard. When the boys go on a trip to New York to hear their favorite band, Rule of Thumb, they are unable to enter the club, but later meet the lead singer, Jim Cassady. In that moment, Jason's life is forever changed. Flash forward ten years, and we learn Jason is now a screenwriter, struggling to keep his head above water. Gone are the glory days of playing in bands with Pewee. Looking to find some kind of meaning in his life, Jason believes that if only he can find Jim Cassady, his questions will be answered. Unfortunately, no one has heard from Cassady since Rule of Thumb separated years ago. Jason makes it his mission to find this man before his own life unravels before his eyes. I found Haney's writing style to be very refreshing. Never before have I read characters who carried so much truth in them. I found myself really caring about each one, even those I disliked. This novel captures all of the triumph and heartache of being an artist, and learning how to grow up. The sometimes graphically described moments may be a bit much for some readers, but I found that through this reality, the author perfectly presented Jason's journey to adulthood. I post all of my reviews to Amazon and always appreciate those who mark them as 'helpful'. You can see this review by clicking here. Thanks for taking the time to read and respond to my review! 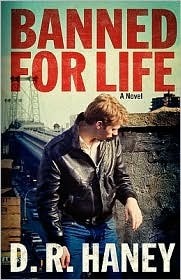 For more information, visit http://www.goodreads.com/book/show/6416929-banned-for-life. Every once and a while, a book garners such commercial and critical acclaim that it becomes a kind of phenomena. Since its release, I have heard nothing but praise for The Help. As is often the case, I put the book on my list of books to read, and there it has sat. With the movie adaptation of the novel receiving award recognition, I finally got my hands on a copy of the book and decided to see what all the talk was about. The story opens with a narrative by Aiblileen, a black maid maid working for a young, white family in Jackson, Mississippi, 1962. She carries a sense of wisdom, as she raises the young daughter of the family, her seventeenth white baby. Despite the loss of her son, he couldn't get the proper care in the "colored" hospital, Aibileen finds a kind of solace through her job, her faith, and her best friend Minny. Minny is also a maid. While she is praised for her cooking skills, her sassy mouth has gotten her in trouble with previous employers, and finds her with no job and a husband who beats her regularly. Eugenia Phealan, Skeeter, is a fresh out of college, 22 year old white woman, who has returned home, to her mother's dismay, without a husband. We learn that Skeeter has always had trouble fitting in with what society, and her mother, expect of her. Upon her return home, she is shocked to learn that the maid who raised her, Constantine, has left the family home, and no one seems to want to tell Skeeter what happened to her. Saddened by the loss of her childhood companion and eager to get a job at a big publishing company, Skeeter decides to write something important. After a chance encounter with Aibileen, Skeeter enlists her and her friends to tell their stories of being, "The Help" to white families. I found this to be an unputdownable read, that perfectly mixed lighthearted fiction with the horrors of racism in the south during the 1960's. It is fascinating to read about three strong women who are forced to deal with problems that, unfortunately, many can still relate to today. By relaying the story of each main character through their perspective, Stockett provides beautifully imagined insight into the minds of these progressive women. In knowing the history of this time period an the violence it entailed, there was and underlying sense of suspense throughout the entire story. 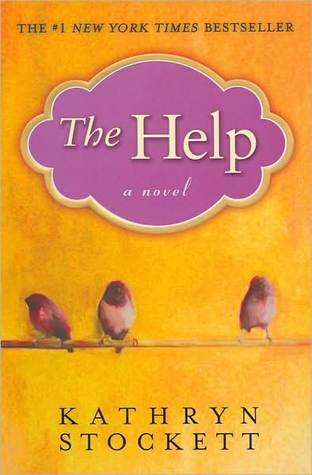 A kind of To Kill A Mocking Bird for modern audiences, The Help is a book that demands to be read by all.